ZHU's progressive house hit, Faded, has been passed around legit D.J.s and Calvin-Harris-wannabees more than that one hot, straight girl at military school. 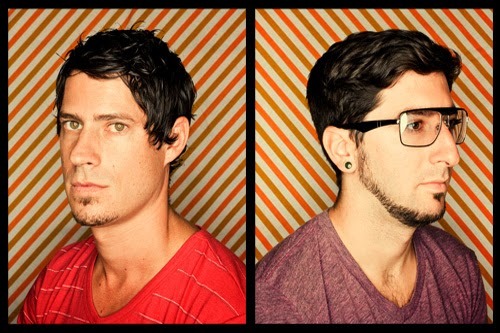 Big Gigantic, however, definitely takes the remixing award. They have not merely remixed the chillwave electronic track, they've completely REDONE it. Usually i don't like posting about remixes when I've already raved about the original, but BG has flipped tempos, swapped instruments and added so much soulful sax (is there any other kind doe, rly?) that the remix deserves it's own praise. The drop is uber gr00vy and unlike most remixers who overload their version with additions, Dom and Jeremy manage to keep the instrumental minimalism that made the original so classy (not like jazz classy, but still. Jazz is like the grey goose of music. Most electronic music is like smirnoff at best, but somehow ZHU manages create electronic tracks that reach a lemon-Svedka level of clas$iness. So props to him, whoever da fuq he is**). **BUT LYYYYKE ACTUALLY WHO IZ HE?!? He's more mysterious than SBTRKT, Deadmau5 and Daft Punk combined. Like all of them rolled into one amazing D.J. rumored to be named Steven. But even more anonymous. Like a one-person blue man group.